The High Criminal Court sentenced a 62-year-old man to three years in prison for falsifying residence visas for BD200 per visa. The defendant, who is a Bahraini national, claimed he has no source of income and was forced to falsify visas so he could pay a BD40000 loan. 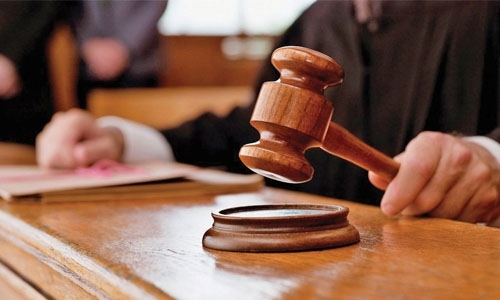 Details of the case, according to the court’s documents, indicate that a citizen reported to police that another person was able to falsify his official documents and submitted an application form to bring a housemaid without his knowledge. He explained that he was surprised when he went to the General Directorate for Nationality, Passports and Residence to apply for a visa to bring a housemaid that he had already submitted a request before and that he has a servant residing in the Kingdom. After an intensive investigation, the defendant was arrested. He admitted that he had been in financial straits for nearly three years and because he had no source of income. He stated he first did this in 2014 in cooperation with an Asian working in a stationary store. After the first attempt succeeded, he said, he falsified two more until he was discovered.